You’ll probably eat less overall! That’s because the stinkier the food, the less we eat! That’s because the odor is so strong, we’re fooled into thinking we’ve eaten more than we actually have – and feel full sooner. Here’s something delicious you can do if you’re stressed out. You might try the all-you-can-eat shrimp. 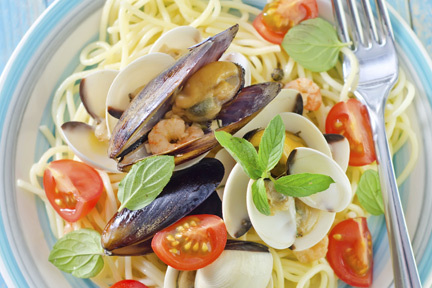 The omega-3 fatty acids in shellfish boost your mood by reducing stress hormones like cortisol. People who eat 3 or 4 ounces daily lower their risk of anxiety, stress and depression by 30%. And shrimp are low in calories! 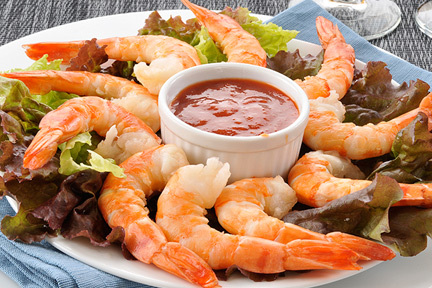 A shrimp dipped in cocktail sauce has only 10 calories and zero grams of fat.